San Anton and San Sebastian festivals. 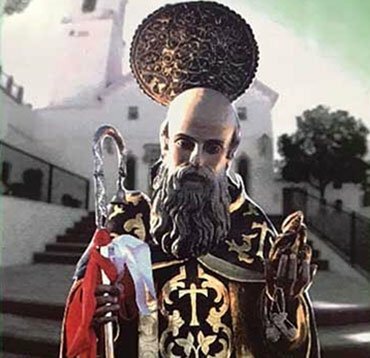 The San Anton festivals are in honour of Antonio Abad, protector of domesticated animals, a celebrated saint throughout much of the Costa del Sol. Antonio Abad was born in Lower Egypt in the 3rd century. It is said that when he was young he sold all his possessions, gave the money to the poor and retired to live in a local ascetic community, sleeping in a cave. Some consider him to be the founder of the Christian monastic tradition, though in the end he went and lived in absolute solitude. The San Sebastian festivals commemorate a 3rd century Roman soldier who was shot with arrows for helping imprisoned Christians. He was presumed dead, but was picked up by a woman who cured him. Afterwards he appeared before the Emperor in order to reproach him for his cruelty to Christians. Unsurprisingly, the order was given for Sebastian to be clubbed to death. As with all Spanish festivals they are a mixture of the sacred and well… fun! Many of those listed below will include a solemn mass in honour of the saint, but much of the time there will be music, dancing, free food and lots of fireworks! The proceedings start at 12.00 pm with a dance display by local groups in honour of San Sebastian. This is followed by a sampling of the local ‘terreno’ wine. At 7.00 pm, in the gardens of the Ermita chapel, there is a piano concert. At 10.00 pm in a specially erected marquee tent in the Escalerilla park, there’s more musical entertainment. From 12.00 pm there are more events planned in the tent in the park. 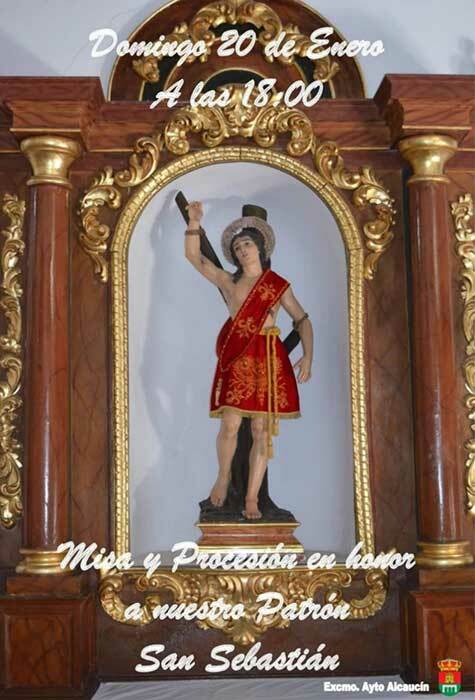 At 6.30 pm there’s a Eucharist in honour of San Sebastian in the Santa Ana church. 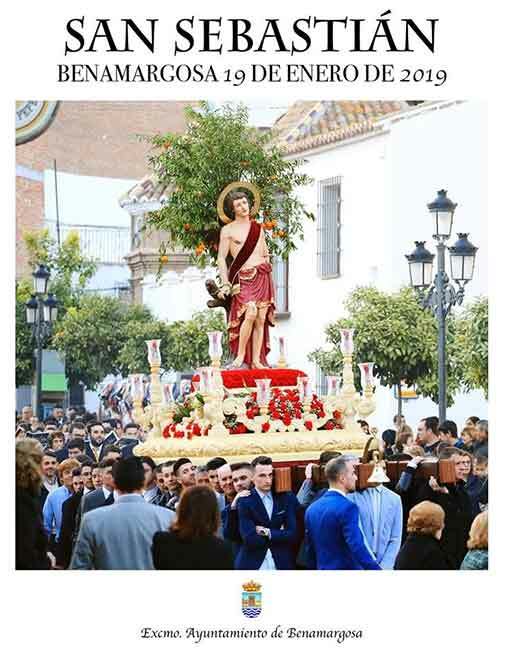 From 7.30 pm an effigy of the saint will be carried from the church to the Ermita chapel, accompanied by the local brass band. The whole event will of course be crowned off by a display of fireworks! Proceedings start at 9.30 am on Saturday with a peel of the church bells and a salvo of fireworks! At 10.00 am, there’s a musical procession through the centre of the village. At 12.00 pm there’s a mass in honour of San Sebastian with floral offerings. From 1.00 pm there are more musical events planned in the tent near the river which will go on all afternoon, evening and into the night. 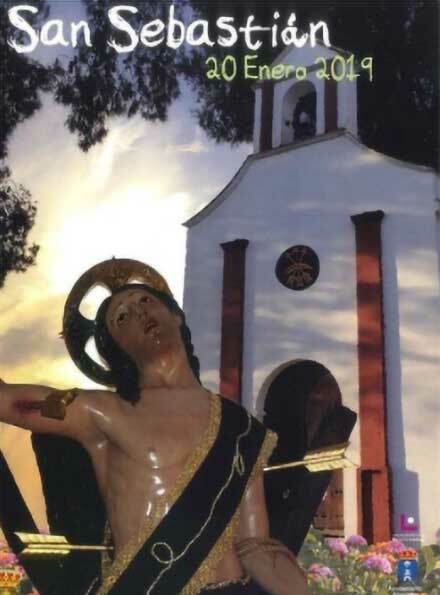 At 6.00 pm an effigy of the saint will be carried around the village, accompanied by the Vélez Málaga brass band. At 10.00 pm a very old tradition is going to be reinstated – that of ‘El Toro de Fuego’ in the Cuatro Vientos plaza. A metal frame in the shape of a bull will be erected which will have various fireworks attached to it! Sounds like great finale to the day! 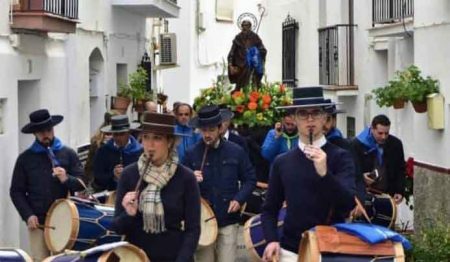 The proceedings start at 7.00 pm with a peel of the church bells and a procession by the local band in honour of San Anton. This is followed by a sampling of the local ‘terreno’ wine. At 8.00 pm, an effigy of the saint is carried out of the Ermita chapel around the pueblo to the church. At the same time as fireworks are being let off! At 10.00 pm the fiesta really kicks off when we’re encouraged to dance to the music of the local orchestra. From 10.30 pm the rockets go off announcing the second day, and local musicians play ‘pasacalles’ along the streets around the village. 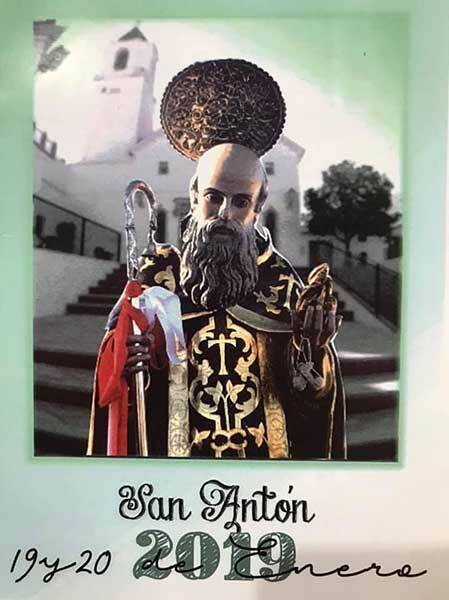 At 12.30 pm there’s a mass in honour of San Anton accompanied by the local choir. The effigy is again transported, this time back to the Ermita. Here the blessing to animals will be carried out. At 3.00 pm people are invited to sample chorizo, blood sausage and local wine, followed by a helping from a specially made ‘gran paella’! From 4.00 pm in the grand marquee tent there will be lots of music and dance to finish the festival, going on until 11.00 pm. Proceedings start at 9.00 am to the sound of Competa’s municipal band. 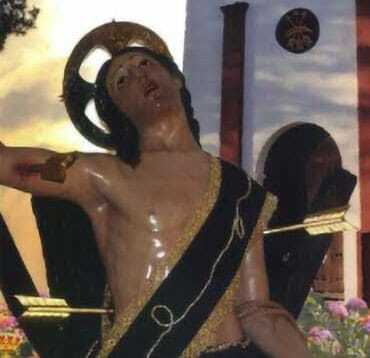 At 11.00 am, there’s a Mass in honour of San Sebastian, the village’s patron saint. At 12.00 pm the effigy of the saint will be carried from the church to the chapel, accompanied by the band. From 1.00 pm there are more musical events planned in the Arroyo Lara Park. At 2.00 pm there’s lunch being offered with migas, cod and Competa wine! From 4.00 pm the music continues. At 5.00 pm events will begin with the transfer of the saint from the chapel of San Sebastian to the church. After which, at 5.30 pm there’ll be the traditional blessing of the animals in the Plaza de la Iglesia. From 11.00 pm one of the highlights of the feria are appearing: the Málaga group ‘Danza Invisible’. They will play in the Plaza de Andalucía, and after the concert there’ll be DJ Emilio González keeping the music going until the small hours. At 12.00 pm there will be a folk festival in the Parque de Andalucía with the performance of local dance groups. At 3:30 pm, there’s a flamenco performance by Eduardo López. At 5:00 pm it will be the turn of the Spanish comedian ‘Comandante Lara y Cía’. 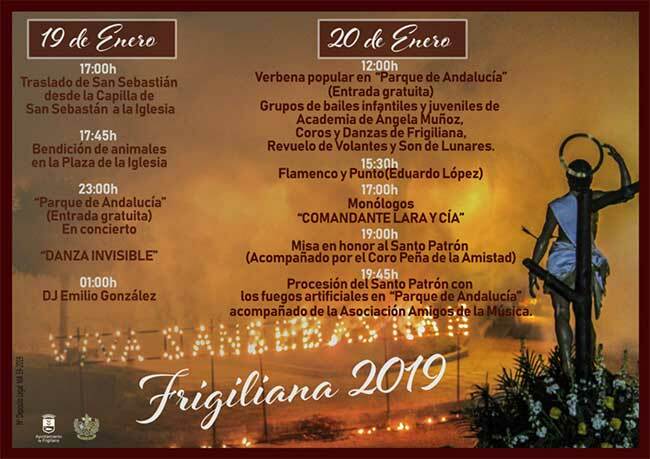 At 7.00 pm the fiesta will be brought to an end with a Mass in honour of San Sebastian, followed by a procession of the patron saint accompanied by the ‘Amigos de la Musica’ Association. The final touch will be the fireworks in the Parque de Andalucía. 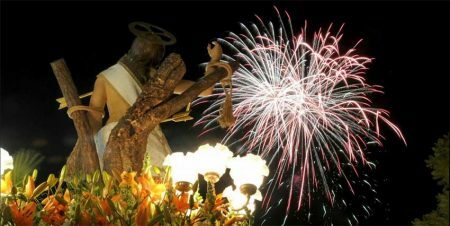 At 6.00 pm the activities start with a bang as firework rockets are let off in honour of San Antón Abad. 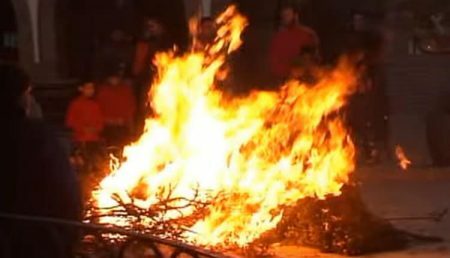 Later, at 6.30 pm, the igniting of ‘Las Lumbres’ (small bonfires) will take place in the middle of the streets of Maro! This is accompanied by the voices of the Coro Rociero El Patio and the Charanga brass band. All this will certainly liven up the streets of this little pueblo! Look out for the local wine being handed out to locals and visitors! After 10.30 pm a bonfire on the Plaza de Maro will be lit and, starting at 12:30 am, Dj Toulalan will be providing the dance music. 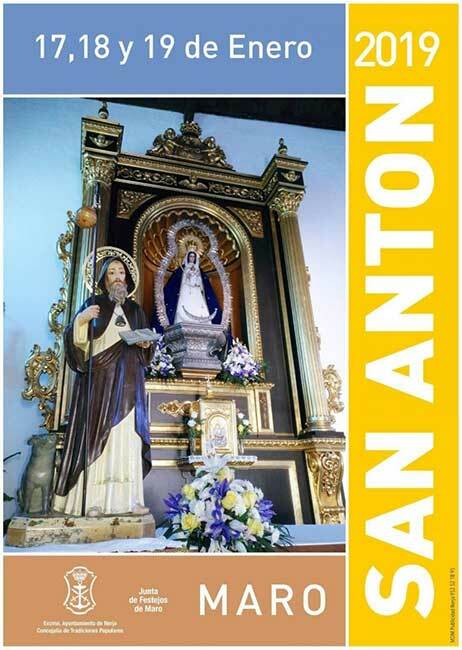 The festivities will begin at 11.00 am when a garlanded float will be carried on which San Anton will sit. At 1.00 pm the opening of the official tent will take place, with dance and music performances then given by ‘Grupo de Baile de Christian’, ‘Grupo de Baile de Ángela’ and ‘Grupo Tocando al Aire’. During the afternoon, chocolates and sweets will be given out to visitors. At 7.00 pm the awards of the Maroween Photography Contest and the San Antón Festival will be presented. The evening will be further enlivened with the Alalba music group and the Marranillo de San Antón raffle. At 12.00 pm the church bells ring out and firework rockets are set off. At 6.00 pm Sedella’s Municipal Band will be playing. At 7.00 pm there’s a magic and illusion show put on for children. 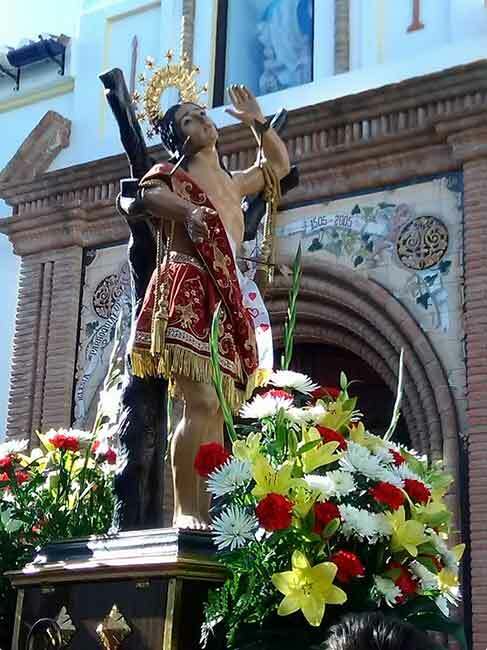 At 9.30 pm there’s the carrying of the image of San Antón from the chapel to the local parish church. This is followed by a firework display. At 10.30 pm an orchestra and a group then livens up the proceedings. 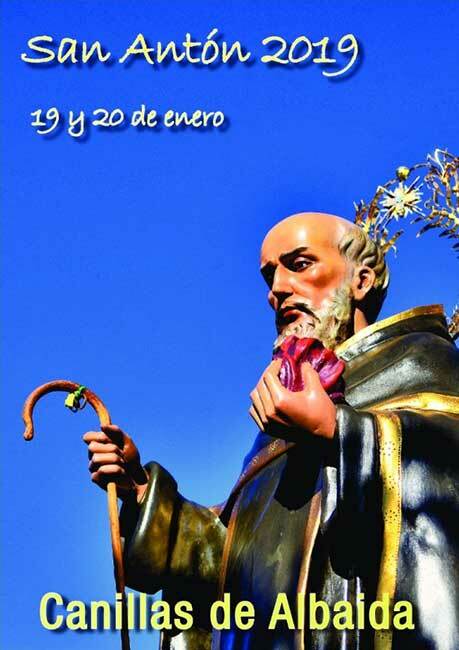 The festivities will begin at 10.00 am when a garlanded float will be carried on which San Anton sits. There’ll be a Mass at 12.00 pm in honour of the saint, livened up by Sedella’s Municipal Band. At 1.00 pm the effigy of San Anton is processed back to the chapel. Around 2.30 pm a plate of migas is served up to visitors. 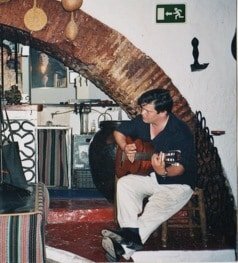 At 5.00 pm there’s flamenco music. At 6.00 pm animals are collected to be blessed through the saint. At 8.30 pm the effigy of San Anton is carried back to the chapel. At 9.30 pm chocolate and churros is handed out to the lucky visitors! Then at 10.00 pm until late an orchestra will serenade until the end of the festival. There are a few other villages which are also celebrating this weekend, but as yet very few details have been published, (or we haven’t been able to locate them at any rate!). As you can see from the poster above, ALCAUCIN is celebrating San Sebastian on Sunday from 6.00 pm with a mass and procession. We also believe that ARCHEZ and SALARES also hold their festivals to San Anton this weekend, though we know nothing more than that!